Is the Automobile Industry the Next Bubble? Over the past year and recently there have been significant changes happening in the North American automotive sector. Other parts of the world have been ramping up the development of the Electric Vehicle, with a number of countries and cities proposing banning or limiting sales of fossil fueled powered vehicles to meet future Climate Accord CO2 emission reductions. World wide we see that auto manufacturers are making the switch over to the development of the EV which will eventually replace the ICE (Internal Combustion Engine). “To meet future demand for EVs, auto manufacturers need to plan and gear up for the relevant changes to design and manufacturing processes. Normally, government calls for reduced vehicle emissions are met with resistance from the private sector. According to Winfried Hermann, transport minister for Stuttgart, “We say, clean up your technology, they say it is impossible.” Nevertheless, many automakers are now planning to sell most of their vehicle fleet in electric versions. According to Volvo’s CEO, the manufacturer aims for 50 percent of sales to be fully electric by 2025. One recent report details statistics provided by the US EPA, where 15% of man-made carbon emissions are produced by the transportation sector, and the US transportation represents 27% of national carbon emissions. Technological developments in renewable energy, energy storage and batteries, autonomous vehicles, Internet of Things, materials, and many other nascent and emerging sectors. Changes in society as more people congregate in cities while the baby boomer generation are departing from the consumer sector, and emerging Millenials are making new choices in spending and interaction with the world. 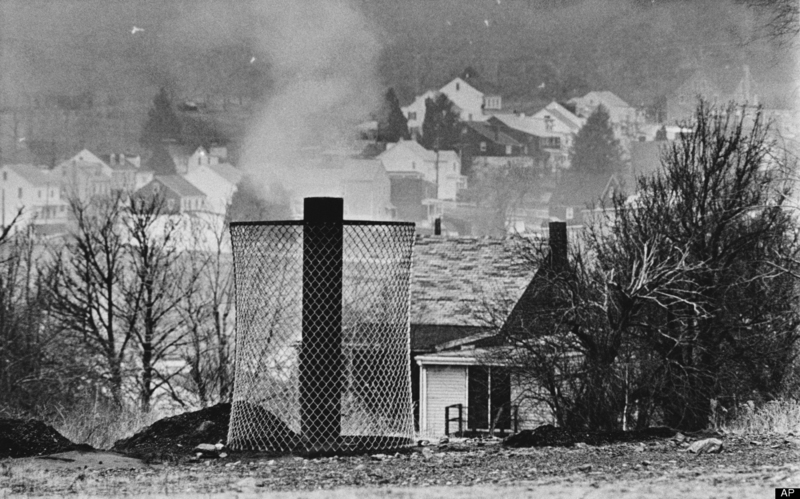 “In this part of Pennsylvania, a mine town gone bust is hardly news. But there is none whose demise has been so spectacular and observable. Centralia has been on fire, literally, for the past four decades. The Centralia mine fire began in 1962 when a pile of burning trash ignited an exposed seam of coal. The fire soon seeped down into the lattice of old mine tunnels beneath town. When it was founded in 1866, Centralia’s ocean of underground coal, aptly named the Mammoth Vein, meant limitless wealth. But once the fire began, it came to mean endless destruction. This abandoned section of Route 61 runs smack through one of Centralia’s so-called hot zones. In these areas the underground fire directly affects the surface landscape. The traffic that used to flow over this section of road has been permanently detoured several hundred yards to the east. Thanks to a recent snowfall, the tracks of other visitors are obvious — that is until the snow cover abruptly ends. It’s as if someone has drawn a line across the road. On one side there’s snow. On the opposite side there’s bone-dry asphalt. The road’s surface is not exactly warm. But the asphalt is definitely not as cold as it should be on a chilly day in the Appalachian Mountains. In the roadside woods, all the trees are dead, baked to death by the subterranean smolder. Even their bark has peeled away. When a nuclear plant retires, it stops producing electricity and enters into the decommissioning phase. Decommissioning involves removing and safely storing spent nuclear fuel, decontaminating the plant to reduce residual radioactivity, dismantling plant structures, removing contaminated materials to disposal facilities, and then releasing the property for other uses once the NRC has determined the site is safe. Since 2013, six commercial nuclear reactors in the United States have shut down, and an additional eight reactors have announced plans to retire by 2025. The retirement process for nuclear power plants involves disposing of nuclear waste and decontaminating equipment and facilities to reduce residual radioactivity, making it much more expensive and time consuming than retiring other power plants. As of 2017, a total of 10 commercial nuclear reactors in the United States have been successfully decommissioned, and another 20 U.S. nuclear reactors are currently in different stages of the decommissioning process. A study* released by the Corporate Mapping Project (CMP), a watchdog organization indicates that public pensions could be overly invested in the fossil fuel industry. This is a concern as international agreements signed by Canada are directed to reducing emissions, while public money is invested in an agenda that requires growth and production in a sector which is in decline. The area that will be impacted by the growth of the facility are diverse and vulnerable. This is not a brownfield development, and in fact is on the side of a mountain and part of a larger watershed. Serious consideration should be given to relocating the facility or decommissioning. There are alternate locations better suited for this type of high hazard industrial facility, away from sensitive areas and remote from populations and high traffic harbours. Why are these alternatives not being discussed? Here’s a snippet taken from the introduction of the report and their findings. How can we stop carbon emissions when local investing strategies are in the opposite direction? Are public pension funds safely invested and competently managed? Likely not. CMP researchers Zoë Yunker, Jessica Dempsey and James Rowe chose to look into BCI’s investment practices because it controls one of the province’s largest pools of wealth ($135.5 billion) — the pensions of over half-a-million British Columbians. Which means BCI’s decisions have a significant impact on capital markets and on our broader society. Unfortunately, the answer is “No.” BCI has invested billions of dollars in companies with large oil, gas and coal reserves — companies whose financial worth depends on overshooting their carbon budget — and is even increasing many investments in these companies. *This study is part of the Corporate Mapping Project (CMP), a research and public engagement initiative investigating the power of the fossil fuel industry. The CMP is jointly led by the University of Victoria, Canadian Centre for Policy Alternatives and the Parkland Institute. This research was supported by the Social Science and Humanities Research Council of Canada (SSHRC). LONDON — Europe’s largest bank HSBC said on Friday it would mostly stop funding new coal power plants, oilsands and arctic drilling, becoming the latest in a long line of investors to shun the fossil fuels. Other large banks such as ING and BNP Paribas have made similar pledges in recent months as investors have mounted pressure to make sure bank’s actions align with the Paris Agreement, a global pact to limit greenhouse gas emissions and curb rising temperatures. “We recognize the need to reduce emissions rapidly to achieve the target set in the 2015 Paris Agreement… and our responsibility to support the communities in which we operate,” Daniel Klier, group head of strategy and global head of sustainable finance, said in a statement. Banning the Internal Combustion Engine: Is this the end of Fossil Fuels? As a general rule I find that most North Americans are unaware that there is a growing movement of countries that are banning new sales of vehicles powered by gasoline or diesel and may also include other fuels such as propane, compressed and LNG (liquid natural gas). The local news is rife with plans to grow our exploitation of natural resources and build more pipelines for anticipated expansion to new markets such as China. 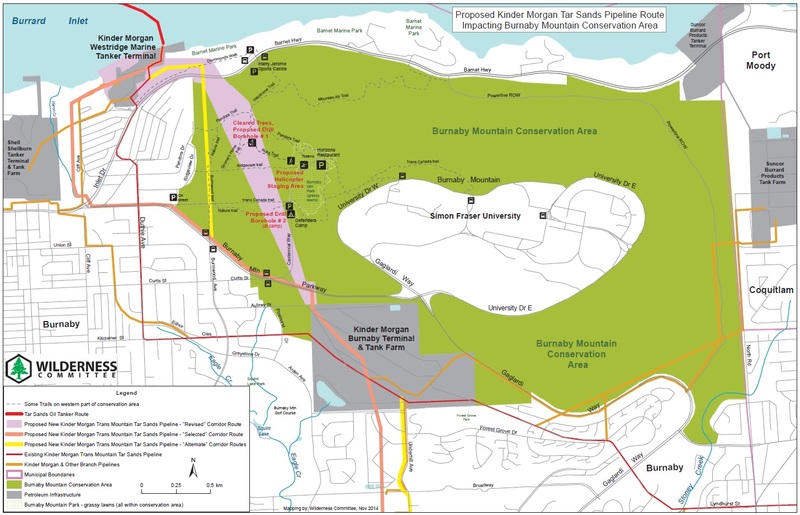 The federal government is in the process of colluding with the petroleum industry to force the construction of a dil-bit pipeline in a densely populated region of Greater Vancouver. Meanwhile our future markets are vanishing as other governments are phasing out fossil fuels and their engines. Image #1: A rendering of the Silent Utility Rover Universal Superstructure (SURUS) platform with truck chassis. Fuel cell technology is a key piece of GM’s zero-emission strategy. General Motors’ Silent Utility Rover Universal Superstructure (SURUS) is an electric vehicle platform with autonomous capabilities powered by a flexible fuel cell. GM displayed it at the fall meeting of the Association of the United States Army, as the commercially designed platform could be adapted for military use. At an automotive conference in Tianjin, China revealed it was developing plans towards banning fossil fuel-based cars. Though China has not set a 2040 goal like the U.K. and France, it said it was working with other regulators on a time-specific ban. “The ministry has also started relevant research and will make such a timeline with relevant departments. Those measures will certainly bring profound changes for our car industry’s development,” Xin Guobin, the vice minister of industry and information technology, said. I explain this worldwide movement to the electric vehicle and the impact this will have oil markets, however, most of whom I discuss this issue with are unaware of these vital facts. In addition we are seeing growing alternate forms of power sources for our electrical grid, such as solar, wind, tidal, hydro-electric, geothermal and others. If you ran a business that called for a major investments in capital for infrastructure, would you make it knowing that your market is non-existent? Maybe it’s time for Canadians and Americans to wake up and smell the coffee. Let’s get straight to the point. Canadians are getting ripped off. We pay the among the highest prices in the world for our own plentiful resources. Meanwhile we ship it to the US and abroad. This is in clear conflict with stewardship goals of our resources, environment and our collective future. What gives Mr. Trudeau? Canada taxes its oil and gas companies at a fraction of the rate they are taxed abroad, including by countries ranked among the world’s most corrupt, according to an analysis of public data by the Guardian. The countries where oil companies paid higher rates of taxes, royalties and fees per barrel in 2016 include Nigeria, Indonesia, Ivory Coast and the UK. “I think it will come as a surprise to most Canadians, including a lot of politicians, that Canada is giving oil companies a cut-rate deal relative to other countries,” said Keith Stewart, an energy analyst with Greenpeace. Companies like Chevron Canada paid almost three times as much to Nigeria and almost seven times as much to Indonesia as it did to Canadian, provincial and municipal governments. Chevron used to run its Nigeria and Indonesia projects out of the U.S., but after allegations that they evaded billions in taxes, their operations were moved to Canada. CALGARY – British Columbia’s government wants to restrict shipments of oilsands crude in pipelines and on railways cars in the province through a series of proposed new rules that is set to create additional uncertainty for Kinder Morgan Canada’s $7.4-billion Trans Mountain pipeline expansion. To that end, B.C. will establish an independent scientific advisory panel to make recommendations on if and how heavy oils can be safely transported and, if spilled, cleaned up. 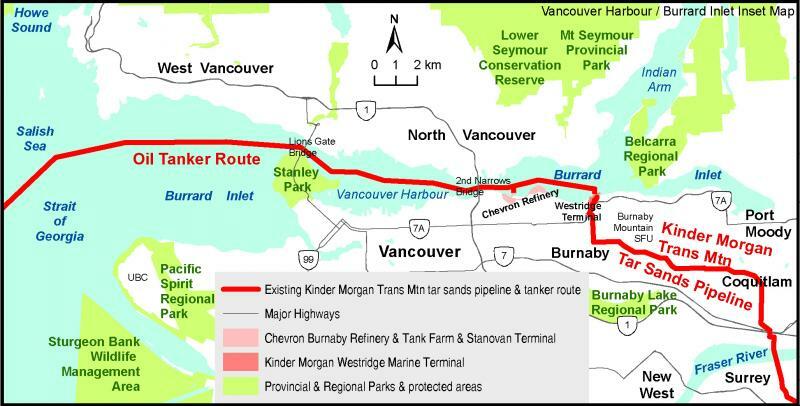 Tuesday’s announcement did not specifically mention Kinder Morgan’s Trans Mountain expansion, which will boost the shipments of oil from Alberta to Burnaby, B.C. from 300,000 barrels per day to 890,000 bpd, but the B.C. NDP had promised to block the pipeline’s construction during an election campaign last year. A new UBC report compares employment numbers from Site C versus the alternatives, and concludes: stopping Site C will create a larger number of sustainable jobs in the province, including in the Peace Region. UBC’s Program on Water Governance has conducted a detailed comparison of employment generated by Site C versus the alternative portfolios put forward by BC Hydro and the BCUC. Our analysis indicates that terminating Site C and pursuing the alternatives results in modest job losses in the short term, and substantial job gains in the medium and long-term. These jobs are generated by remediation, conservation, and alternative energy projects. Terminating Site C and pursuing any alternative portfolio creates a higher number of sustainable jobs in the province, including in the Peace Region. Site C provides the least jobs per dollar spent. 1. Climate science is very complicated and very far from being settled. 2. Earth’s climate is overwhelmingly dominated by negative-feedbacks that are currently poorly represented in our Modeling efforts and not sufficiently part of ongoing investigations. 3. Climate warming drives atmospheric CO2 upward as it stimulates all natural sources of CO2 emission. Climate cooling drives atmospheric CO2 downward. 4. Massive yet delayed thermal modulations to the dissolved CO2 content of the oceans is what ultimately drives and dominates the modulations to atmospheric CO2. 5. The current spike in atmospheric CO2 is largely natural (~98%). i.e. Of the 100ppm increase we have seen recently (going from 280 to 380ppm), the move from 280 to 378ppm is natural while the last bit from 378 to 380ppm is rightfully anthropogenic. 6. The current spike in atmospheric CO2 would most likely be larger than now observed if human beings had never evolved. The additional CO2 contribution from insects and microbes (and mammalia for that matter) would most likely have produced a greater current spike in atmospheric CO2. 7. Atmospheric CO2 has a tertiary to non-existent impact on the instigation and amplification of climate change. CO2 is not pivotal. Modulations to atmospheric CO2 are the effect of climate change and not the cause. Let’s examine, at a high and salient level, the positive-feedback Anthropogenic Global Warming, Green-House-Gas Heating Effect (AGW-GHGHE) with its supposed pivotal role for CO2. The thinking is that a small increase in atmospheric CO2 will trigger a large increase in atmospheric Green-House-Gas water vapor. And then the combination of these two enhanced atmospheric constituents will lead to run-away, or at least appreciable and unprecedented – often characterized as catastrophic – global warming. Water scarcity is becoming a greater problem in our world as human demands for water increases due to population growth, industry, agriculture, and energy production. When the water supply is being pushed beyond its natural limits disaster may occur. For California residents the end of the drought is good news. Return of wet weather raises reservoir levels and effectively prevents wildfires. However, another drought could be around the corner in years to come. Thus government and water users need to remain vigilant and continue to seek ways to conserve and reduce water use. Gov. Jerry Brown declared an end to California’s historic drought Friday, lifting emergency orders that had forced residents to stop running sprinklers as often and encouraged them to rip out thirsty lawns during the state’s driest four-year period on record. The drought strained native fish that migrate up rivers and forced farmers in the nation’s leading agricultural state to rely heavily on groundwater, with some tearing out orchards. It also dried up wells, forcing hundreds of families in rural areas to drink bottled water and bathe from buckets. Brown declared the drought emergency in 2014, and officials later ordered mandatory conservation for the first time in state history. Regulators last year relaxed the rules after a rainfall was close to normal. But monster storms this winter erased nearly all signs of drought, blanketing the Sierra Nevada with deep snow, California’s key water source, and boosting reservoirs.